Home > Direct Mutual Funds > When is the Best Time to Invest in Mutual Funds? Mutual funds are touted to be one of the best investment options for people seeking financial stability, with the moderate market risk involved. While that is true, investing in mutual funds is an art – you need to understand the right time for investment as well as have a strategy for portfolio diversification. 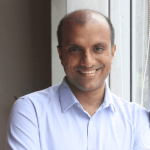 There is often a lot of confusion amongst people about the type of mutual funds they should invest in, when is the best time to invest in mutual funds, and what should be the investment plan. Here, we address the most critical question amongst the three – when is the best time to invest in mutual funds? However, before we move on to the when, let’s understand more about the nature and type of mutual funds, so we have a firm grounding in the basic concepts of the mutual fund market. Mutual funds are a pool of money collected by multiple investors, to jointly invest in shares, bonds, stocks, and other assets. Simply put, the risk of investing directly in the share market is diluted by mutual funds, as people’s finances are not dependent solely on the fortunes of a single company. Mutual funds work on the principles of portfolio diversification and risk assessment. There are a number of sectors you can invest in, manufacturing, steel, IT, healthcare, finance, and more. A diverse portfolio is one that has the right combination of these different industries, in a way such that potential fluctuations in a particular sector do not have a major impact on the complete investment. Mutual fund plans are divided into low-, moderate-, and high-risk plans, each with a proportionally increasing rate of return. The implication is obvious – higher the risk, greater the percentage returns, but higher the potential percentage losses as well. Based on these two principles, mutual funds function as a smart investment option for short and long-term plans. There are different types of mutual funds, classified mainly as direct and regular mutual funds. Regular mutual funds are when you purchase mutual funds from a fund house with the help of an intermediate broker, who manages your fund portfolio in return for a fixed commission. The broker provides financial advice about which plans are suitable for you, based on your investment capacity and risk appetite. In this scenario, you are completely guided by the expertise and market awareness of the broker. Direct mutual funds, on the other hand, are where you manage your funds by yourself, with no intervention of a broker. This gives you the freedom to move funds as and when you deem necessary, with added returns due to no loss of commission. Investing in mutual funds can be more beneficial if a regular investment module is followed. Having a Systematic Investment Plan (SIP) in place while investing in your choice of mutual funds schemes can drive better returns than investing haphazardly and at random intervals. Now, having understood the basics of mutual fund investments, there naturally arises a question – when should you invest in mutual funds? To a layman, the stock markets seem unpredictable and the investing schemes esoteric at best. However, there are certain steps you can follow to understand the market situation and identify the best time for investing in mutual funds. When Should You Invest in Mutual Funds? Ideally, the best time to invest in mutual funds is when the market has either hit rock bottom or is cresting its peak. In the former case, you will be able to purchase mutual funds at low prices and watch the share value increase as the market improves. In the latter case, you can buy and dissolve mutual fund schemes within a limited duration to get maximum returns from your investment. The state of the infrastructure and real estate industry is usually a good indicator of the current market scenario. Unfortunately, these ideal scenarios are very, very rare. So, instead of waiting for the best time to invest in mutual funds, it is better to invest as early as possible. Mutual funds are designed to give maximum benefits over long-term investment, hence the fluctuations of the stock market do not have a severe impact on mutual fund investments, though they are certainly subject to market risks. Before you invest in mutual funds, there are six questions you need to ask yourself. The best time to invest in mutual funds is when you have satisfactory answers to all these questions. a. What is my investment goal? Defining your investment goal helps you understand the type of mutual fund you need to invest in. If your investment goal is to save money, you will be open to low-risk schemes, even if the rate of return is not as high as that for high-risk schemes. In such a case, the investor should look for low-risk money market funds, or government bonds, which are a safer investment than stock funds or aggressive bond funds. On the other hand, if your investment goal is to earn big returns, you have to be open to greater risks and can think of investing in high-yield bond and stock funds. b. What is my investment horizon? Investment horizon refers to the duration for which you are willing to invest in mutual funds. This can range from days to months to years. Mutual funds do not have a lock-in period, except for ELSS schemes, but short-term performance cannot be a criterion for judging the total fund performance. Short-term fluctuations are often random and they cannot be taken as an indicator of the fund manager’s investment skill. Generally, investment horizons ought to comprise of a complete market cycle, i.e. from three to five years. This is time enough for the investor to determine the productivity of the fund and accordingly decide whether to continue with the scheme or invest in another. c. What is my risk tolerance? We’ve touched upon this subject briefly while defining investment goals, but it is worth delving into deeper. Mutual funds are classified into low-, moderate-, and high-risk funds, also known correspondingly as large-cap, mid-cap, and small-cap funds. The return on investment is proportional to the risk you take while investing in mutual funds. Studies show that risk tolerance is dependent largely on the age, financial stability, gender, and geographic location of the investor. Having your investment goals and horizon clear helps in determining your risk appetite, which in turn influences your investment decision. However, it is important to understand that even high-risk mutual funds do not offer as high returns as a stock market investment since they are inherently a more conservative vehicle for investment. It is best to temper expectations from the beginning and decides your risk tolerance accordingly. d. What kind of income do I expect from this investment? Income from mutual fund investment can be divided into two types – capital gains and dividends. The frequency at which investors receive net profits from funds differs according to the type of investment scheme. Capital gains are preferred by those who do not see mutual funds as a regular source of income but are willing to grow their wealth over the long term. Conversely, dividend-bearing funds are a good choice for investors who seek regular income from their mutual fund investments. e. What are the tax benefits of this investment? Mutual fund investments impact tax calculations significantly, depending on the scheme you choose. 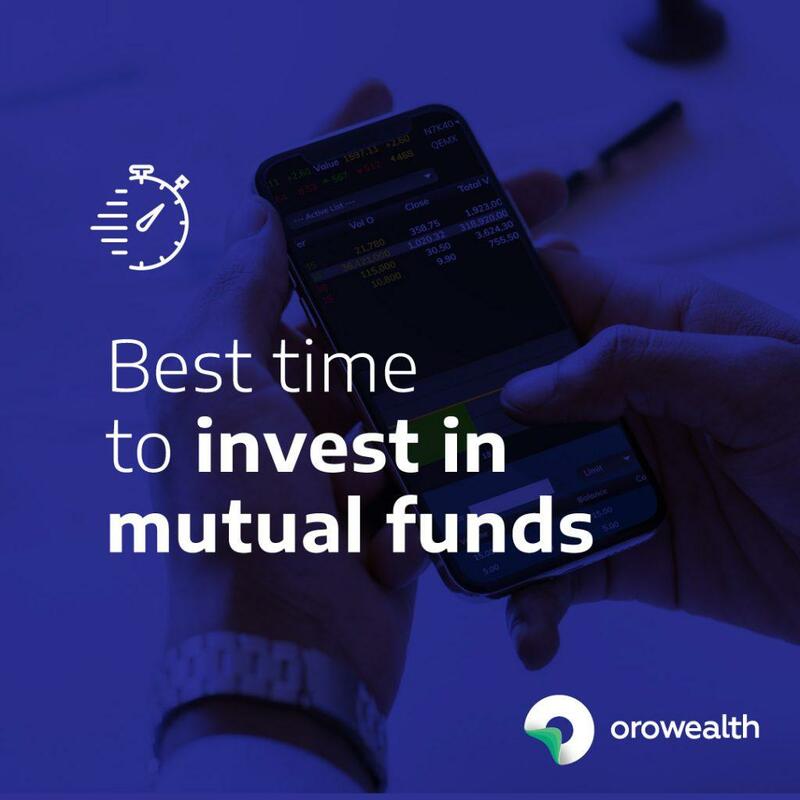 While deciding when is the best time to invest in mutual funds, and the type of mutual funds, consider your current financial stability plus the additional tax liability due to mutual funds. Funds offering capital gains are a better choice for reducing tax liabilities as opposed to dividend-bearing funds, which increase the taxable income for the investor every year. There are investment options that are designed specifically to provide tax-efficiency, such as tax-free government bonds, municipal bonds, etc. However, not all mutual funds are tax-free so it is always necessary to read the state laws and by-laws to know the tax benefit of the said mutual fund. f. Have I done the necessary due diligence? Due diligence is the most important step before actually investing in a mutual fund. Every investor needs to thoroughly research the right mutual fund that is suitable for him/her, the performance record of the managing team, reviews and their reputation, and details on asset allocation. Due diligence of a fund’s expense ratio, i.e., the amount of a fund’s assets that are to be used for administrative expenses or operations, is a must before investing in the fund. It is always better to invest in mutual funds after completing all the relevant due diligence. Your answers to these questions will help you narrow down the kind of mutual fund you want to invest in and identify the best investment opportunity for the same. For instance, if you plan on making a short-term investment, debt mutual funds are a good option. Debt mutual funds are not dependent on the stock market and are hence, not affected by their volatility. If you have a longer investment horizon and a moderate risk appetite, investing in equity mutual funds is the better choice. Equity mutual funds are dependent on the stock market, but their longer duration of investment gives a chance of greater return on investment. Having said that, there are times when mutual fund investment is not the right choice. Let’s see when should you not invest in mutual funds. When Should You NOT Invest in Mutual Funds? Mutual funds are managed by portfolio managers, who are fluent in the financial market trends. However, this means that you have to relinquish control over your finances to some extent and trust in the expertise of the financial advisors. One way to overcome this problem is by self-managing your portfolio, through direct mutual funds. Direct mutual funds give you the freedom to diversify your portfolio as per your understanding of the market and handle your assets as you think appropriate. Mutual funds’ gross returns usually have high expense ratio percentage, nearly 2%-3%. These are the expenses used to manage the investment business. Customers have to bear the commission costs of broker and financial fund managers, in regular mutual funds. All of these costs are an extra millstone around the investor’s neck, which might make mutual funds a less lucrative option for investment. Mutual fund investments are a safer bet that purchasing shares or bonds directly in a company. However, this reduced risk also means a reduced return on investment. Moreover, mutual funds are regulated strictly and cannot have concentrated holdings in any particular sector for over 25% of their portfolio. These constraints give diluted returns on mutual fund investment, which may not be palatable for investors open to high-risk, high-yield schemes. In addition, if an investor wants to opt-out of a scheme earlier than the designated duration, high exit loads have to be considered. This can be a discouraging factor for investors who want a more dynamic participation in the market. It is safe to say that for those who see mutual fund investments as a long-term activity, there is no better time than now to invest in mutual funds. However, for those with a higher risk appetite or expectations of quick returns on investment, mutual funds might not always be the first choice for investment. There are over 43 Assets Management Companies (AMCs) in India and over 2600 mutual fund schemes. In this scenario, choosing the best possible combination and appropriately diversifying your portfolio for maximum return on investment can be difficult. The basic six-step process helps in analysing which mutual funds to invest in and the plans to choose, based on your investment goals, duration, and risk appetite. In addition, you can also take the help of professional financial advisors to get a clearer perspective of the portfolios that are suitable for you. Managing mutual funds by periodically revising your investments and keeping an eye on market trends is an important aspect of mutual funds investment, for both regular and direct mutual funds. Comparing mutual fund performance against its peers and against benchmarks is one way to keep track of how well your investment is doing and modify your portfolio accordingly. The mutual funds market has grown by leaps and bounds over the past decade, with more and more investors understanding the value offered by mutual funds investment. What are your thoughts about the when to invest in mutual funds? Share your views in the comments section below!